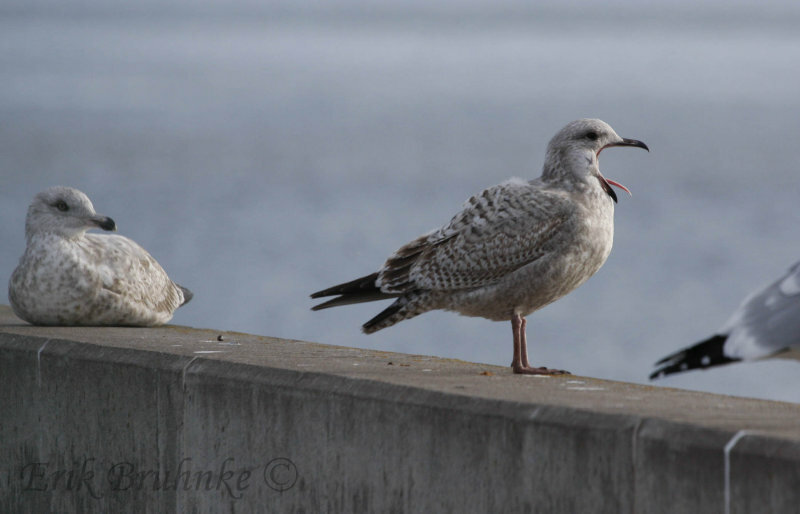 Erik Bruhnke | all galleries >> Gulls >> confusing gulls > Pale Herring Gull - possibly European? This Herring Gull caught my attention right away while scanning through the Herring Gulls. Some American Herring Gulls can have a bleached/extra pale appearance at certain times in their non-adult lives, but this bird looks uniformly pale, with many fine-speckled markings throughout the mantle. This bird had fine barring on the outermost portions of the uppertail coverts.